Looking through other people’s family albums can be a chore, great aunties who you don’t know, a pet dog long dead, or a baby’s birthday you couldn’t care less about. But when the family album is painted by Thomas Gainsborough, one of the UK’s most important portrait artists of the 18th century, then it is time to sit up and pay attention. Gainsborough’s Family Album (until 3 February 2019), which opened this week at the National Portrait Gallery, includes more than 50 works depicting the artist’s family. 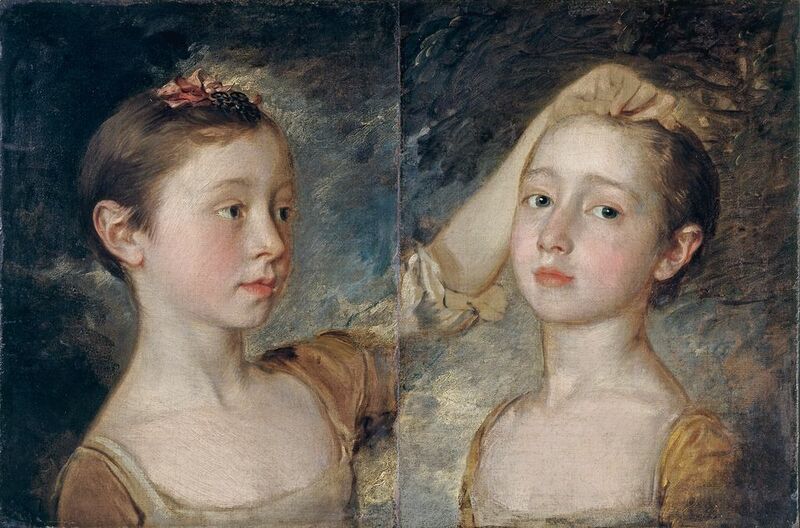 The show unites all 12 surviving portraits of Gainsborough’s daughters, tracing them from childhood, in paintings such as The Artist’s Daughters chasing a Butterfly (around 1756), to young adulthood, with Margaret and Mary Gainsborough (around 1770-74). The show will also includes some hairier family members: the Gainsborough family pets in works such as the drawing Tristram and Fox (around 1760s), which is being exhibited for the first time. Visitors will also get to see the freshly restored Portrait of Gainsborough Dupont (1773), which was apparently painted in less than an hour. At Goldsmiths CCA, a double header pairs up shows by the US artist Alexis Hunter with the Estonian artist Kris Lemsalu. Sexual Warfare (until 23 November) explores Hunter’s provocative feminist photography, which grapples with the misogyny of mid 20th-century marketing language. 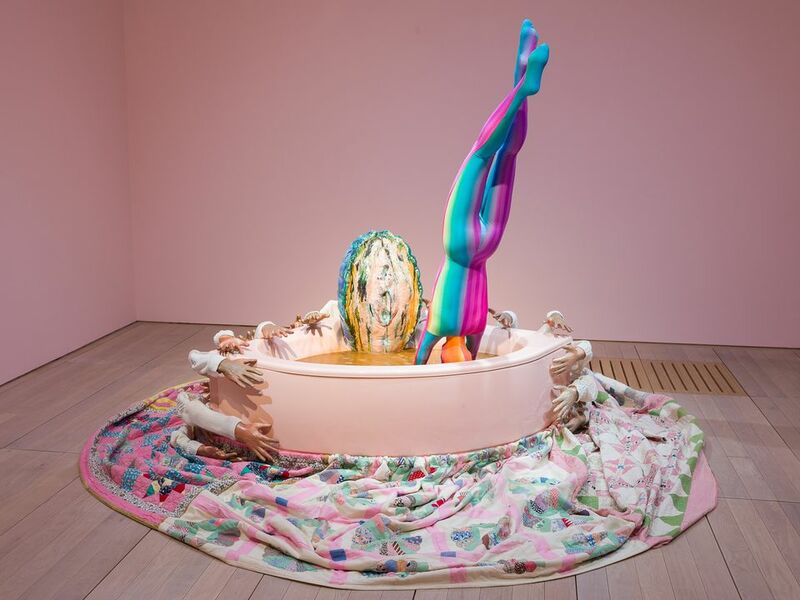 Hunter picks out the enforced gender roles implicit in festishized objects and advertisements and then flips them around, rejecting the male gaze whenever it threatens to impose itself upon her work. As one of the first female artists to use her work as a vehicle for open political critique, Hunter’s feminism is tied to an acerbic critical dialogue with capitalist systems as well as gender dynamics of the 1970s. Meanwhile, in 4Life (until 23 November), Lemasulu has created new works tracing the different stages of life. Her talismanic mixed-media sculptures, often made from materials such as ceramics and textiles, question “hierarchies of beauty and revulsion, merit and mediocrity”, according to a press statement. Upon learning that he trained his eye as a war artist within the brutality of the 1993 Bosnian conflict, one might forgive the unremittingly harrowing scenes that Peter Howson—one of the leading British figurative painters of the 1980s—depicts in his show at Flowers Gallery, Kingsland Road (until 22 December). These monumental pieces take their compositional cues from traditional epic history painting, but the anxieties they tell of are contemporary and pressing. Thick-skulled zombielike figures draped in St George cross flags form a powerful, though not particularly subtle, critique of modern-day populist politics. The show’s title Acta Est Fabula (Latin for, the play or story is over) speaks to the post-apocalyptic nature apparent in the show’s central canvas Siste Viator, a mob scene strewn with debris and chaos. Howson’s knack for capturing the defeated expressions of the war-weary elevate this show beyond a thinly veiled cry against Brexit into an emotionally complex collection of paintings by an artist with a martial sensibility.